College is a time of your life when you enter a completely new phase in your life. It is a time when you develop yourself, the person you want to be and the way to accomplish it. However, it is also a time when you should have fun and enjoy life before adulthood catches up to you. Hence, you don’t want to waste any extra minutes or hours on moving from one place to the next. Instead, why not find affordable dorm room movers that will get this done for you? Our movers in Greater Columbus are always here to ensure a smooth transition so that you can focus on other aspects of college life. How much do you need for the right dorm room movers? Not as much as you think. We here at Zippy Shell understand how limited students are when it comes to finances, which is why we adapt. Our residential movers Columbus will always offer you the best possible deal. No hidden fees. No unexpected costs. Zero risks for a top guarantee. This is what our dorm room movers are all about, and what they know best. We are the Ohio State University’s premier mover and storage for 4 years. We can help you pack and move your items to a dorm room or apartment. We offer moving and storage services for students, at the end of each academic year. 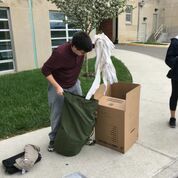 Besides box pickup during Spring moving out and delivery to your new dorm room, we also offer moving and storage services for those living off-campus. As we are the Ohio State University’s premier mover and storage for 4 years, you can be sure your move is in hands of experts. Here at Zippy Shell Columbus, we believe that a student’s life is hard enough as it is. With the increased tuitions and harder time finding jobs, you will need all the help you can get. Well, if you find yourself in a situation where you will have to relocate, your best bet will be to avoid moving scams and find reliable dorm room movers Columbus. But, are there any movers that know what goes into student moving and who can help you out properly. Luckily, we are here to provide you with any and all services that you might require. If there is one thing that our experience has taught us is that students lack time and money. And, while we cannot do anything to give you more, we can certainly do our best to make the little that you have worthwhile. 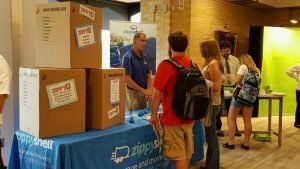 Our professional team knows what goes into student moving and are there to help you out. Whether you need our services or you need our help with organizing, be sure to contact us. There are many mistakes you can make if you are not careful, and it is both in our and your interest that that doesn’t happen. Let dorm room movers, such as us, deal with moving and you focus on one of your other thousand student problems. In order to properly prepare for the move ahead, you need to start in advance. While we certainly can handle the last minute move, we strongly suggest that you avoid it. The less time we have to plan and execute your move, the more it is going to cost. If you give us the time we can properly plan your relocation and figure out how to make it as cost-effective as possible. Therefore, you should contact us the moment you know the date of your relocation. No matter how simple your move might look at first glance, give us time to plan it. You can only give us too little time, never too much. Once we make a plan with you, you just need to make sure that you follow it. Our plan will only work if we stick to it and follow the timeline. Not everyone is suited to help out students relocate. The reason is simple. 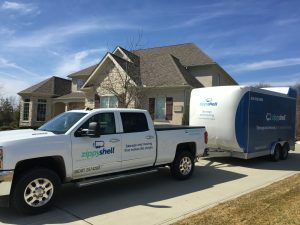 In order to make your move both efficient and cheap, you need to have tools and experience that few moving companies have. Therefore, it is in your best interest to find reliable movers and let them help you out. Our team will work with you so that your relocation is the best possible one. There are always many routes to take when it comes to dorm room moves. But, as experienced dorm room movers, we can guarantee that the one we provide you with is the cheapest and the most efficient option. We are familiar with all the little nooks and crannies that go into moving. Therefore, we know how to make it happen like no other moving company. Our team will work with you to figure out the best possible plan for your relocation. Once you hire us to help you out, there are many services that we can provide you with. It will be up to you to choose how much you wish to be involved in the process and how much you will leave for us to handle. Mind you, we strongly recommend that if you are not experienced with moving, that you leave it to us. Spend your time focusing on studying and finding a job, and let us to what we do best. While you certainly can be of use, and you can learn a lot from our dorm room movers, there is no reason to sacrifice study time for moving time. We hate to sound like your parents, but you need to get your priorities straight. But, if you still want to handle some part of the move, we recommend that you start with packing. You can easily pack yourself by following a simple online guide. But, keep in mind that packing is arguably the most important part of the move. A small overlook during packing can easily lead to a moving accident. If you are unsure about any aspect of packing or are unable to execute it properly, give us a call. Our team will provide you with all the necessary packing tips. We will sort your possessions and advise you on what you will need. While you can take care of packing on your own, we urge you to avoid tackling transportation. Driving a moving truck is not as easy as some truck rental companies would like you to think. Even if you are an experienced car driver, you won’t be able to simply sit in it and drive it with ease. There are numerous issues and problems involved with loading up the truck, let alone driving it. Give yourself a break, and let us deal with transportation. Our drivers are familiar with the best routes in Columbus if you decide to move here. As dorm room movers Columbus we will make sure that all your items arrive safe and sound to your desired location. Driving to and from a university is easy if you have as much experience as our drivers have. Many students use storage during their dorm relocation. While your particular move may not need storage, you should be aware that we offer it. Be it that you would like to do a semester abroad, or you would like to store your items until you move into an apartment, know that we have you covered. Our storage units are perfectly suited for students as we deal with them on daily basis. We will help you figure out what should go into a storage unit and how you should place it inside. Be it for long term or short term, when it comes to storage needs be sure that we have you covered. Also, remember to talk to us about insurance. So, don’t waste time pondering on it too much – simply contact Zippy Shell and reduce all the stress.